Have you been dreaming of a new look for your kitchen? Maybe you’d like some glass fronted cabinet doors to break up that expanse of wood, or perhaps you want a bold new color. Remember: you don’t have to buy all new custom cabinets to change the look of your kitchen. 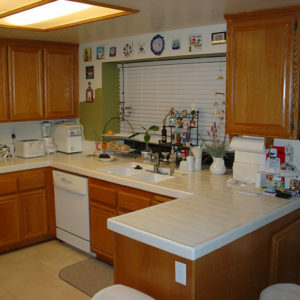 All you need to do is get cabinet refacing in Newport Beach CA from Cabinet Magic. What Is Cabinet Refacing in Newport Beach CA? With cabinet refacing in Newport Beach CA, you only replace the pieces that are affecting the look of your kitchen, namely the cabinet doors and drawers. Crown moldings can also be replaced or added as needed. By covering exposed exterior cabinet surfaces with a matching material, we leave your kitchen with a new, cohesive look. Your new cabinet doors and drawer fronts will be custom made just for you, to suit whatever design constraints you may have. We offer an extensive choice of cabinet styles and colors. While you’re getting cabinet refacing in Newport Beach CA, you may also want to consider adding additional features to your cabinetry such as soft close hinges and pull-out shelves. It’s Eco-Friendly: By focusing remodeling efforts on just the cabinet doors and drawer fronts, we can give you a new look using less new materials and generating less waste than we would with the custom cabinet route. At Cabinet Magic, we have a professional team standing by ready and willing to start helping you with your cabinet refacing in Newport Beach CA. We are confident we will meet and exceed your expectations with superior craftsmanship and service. Take the first step towards your new cabinets today by calloing 800-828-4380 and requesting a free in home estimate.